What a happy homecoming it was for Tom Brady as the Patriots improved to a 5-1 start. This game made the last time the Patriots played at Gillette seem like a lifetime ago. As the Patriots sailed to victory a few winners and losers stood out throughout the game that put the Patriots in first place in the AFC. It was the Gronk spike heard around the world, as the tightened finally snagged his first touchdown of the season. 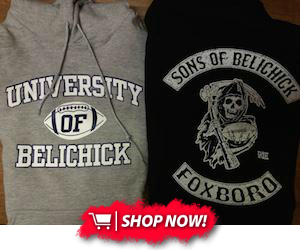 Gronk had the game of his career on Sunday afternoon, as he caught 7 passes for 162 yards including his touchdown. Along with his extraordinary game came some trash talk. After two catches in a row late in the fourth quarter, Gronk had a few words for Bengals cornerback Adam Jone and Bengal linebacker Vontaze Burfict. After his last catch Gronkowski turned towards the Bengals bench and began talking, forcing a taunting flag on him. But, after the game he had he deserved to trash talk! I think it is safe to say that we finally got the old Gronk back. Welcome Home Tom! Ticket prices for Tom's first home game averaged out at $1000 and he made it worth it for the fans that were fortunate enough to get one. Brady threw for 376 yards and three touchdowns for the second week in a row. Brady was pure with a 140.0 passer rating. Brady placed the ball perfectly into Gronk's hands as he threw for his second touchdown of the day. He and Gronk looked like they haven't missed a beat as both of them had their timing down and led the Patriots to a victory. Don't easily filled the void of Jamie Collins, who was absent in Sunday's win. Hightower recorded the safety in the third quarter that was the turning point of the game. He led the team in tackles with 16. He recorded 1.5 sacks and 1 tackle for a loss. 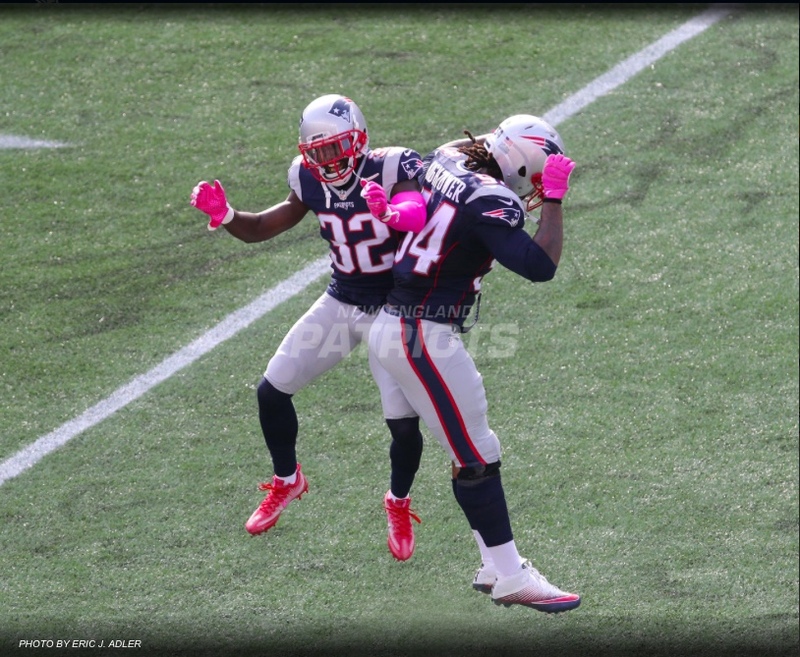 Hightower provided the leadership on the defense and was the key player of it. 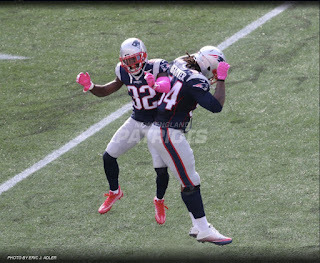 Hopefully next week the Patriots will get their duo of stout linebackers both on the field in Hightower and Collins,but if not we should have total confidence in Hightower now that he is healthy. If you predicted James White would have a big day, you were right. The pass catching running back caught two of Brady's three touchdowns. He had 66 all purpose yards on the day and gave the Patriots the lead at the half. White seemed to be the answer when no one else was open, and kept the Patriots in the game at half time with his go ahead touchdown. Gostkowski's rough start to the season continued today. He missed the extra point that would have put his team up by two scores. Although he did redeem himself, making 2 field goals and 3 of 4 extra point attempts. Gostkowski is now 25 of 29 on the season and missed his first regular season extra point since 2006. Vintage Burfuct is one of those players who let's his mouth do the talking rather than his play. Playing in his second game after his four game suspension Burfict continued running his mouth to Gronk throughout the game, just like he did in the Bengals playoff loss to the Steelers. Burfict and Adam Jones have no control of themselves, and continuously embarrass themselves and the Bengals organization. They should take a play from the Patriots book and let your play do the talking.